Behind the Mic provides a roundup of recent news regarding on-air talent, including new deals, departures, and assignments compiled from press releases and reports around the industry. 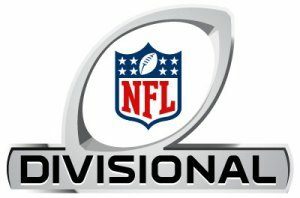 In this week’s edition, the NFL Divisional weekend brings with it new broadcasting teams for Fox Sports, Jeff Gordon‘s analyst career is extended with a multi-year deal with Fox, Jim Courier signs a five-year deal with Tennis Channel, NBC Sports announces the commentator team for the 2019 IMSA season, and the voices of FS1 PBC Fight Night: Uzcategui vs. Plant are announced. Fox Sports’ lead team with play-by-play announcer Joe Buck, analyst Troy Aikman, reporters Erin Andrews, and Chris Myers along with rules analyst Mike Pereira will call Saturday’s NFC Divisional game. The crew will announce the matchup between the NFC West champion Los Angeles Rams and the NFC East champion Dallas Cowboys at the Los Angeles Coliseum, Los Angeles, Calif. on Saturday, Jan. 12. Play-by-play announcer Kevin Burkhardt will team with Charles Davis veteran reporters Pam Oliver, and Peter Schrager along with rules analyst Dean Blandino to call Sunday’s NFC Divisional game. The team will call the game between the NFC Wild Card Philadelphia Eagles and host NFC South Champion New Orleans Saints at the Mercedes Benz Dome, New Orleans, La. on Sunday, Jan. 13. Terry Bradshaw and Curt Menefee co-host Fox NFL Sunday along analysts Howie Long, Jimmy Johnson, Michael Strahan, Tony Gonzalez, and insider Jay Glazer. In addition, Carolina Panthers TE Greg Olsen will appear as a guest on the set of Sunday’s Fox NFL Sunday. America’s No. 1 pregame show airs from the Fox Network Center in Los Angeles prior to both divisional matchups on Fox. Fox Deportes’ broadcast team for games includes host Rodolfo Landeros, Jessi Losada, Rolando Cantu, and Jaime Motta. The Fox Deportes pregame show begins 30 minutes prior to kickoff of the Divisional Playoff game between the Philadelphia Eagles and the New Orleans Saints. …According to MotorSport.com, Jeff Gordon and Fox Sports are agreeing to a new multi-year deal to continue his duties as a race analyst. “It was a ‘no-brainer’ for me, even more so this time around,” he says Gordon. “The first time, I didn’t exactly know what I was getting myself into. I didn’t know whether I was going to be any good at it, if I was going to enjoy it. …Tennis Channel has agreed to a five-year extension with Hall of Famer Jim Courier that will run through 2023. Courier first appeared on the network as an analyst at the 2011 US Open and has since expanded his role to include all four Grand Slams, the BNP Paribas Open, and other appearances in studio and on-site. …When the 50th anniversary of the International Motorsports Association (IMSA) season begins on Saturday, Jan. 26, NBC Sports will utilize a commentator team led by play-by-play voice Leigh Diffey, former Monster Energy NASCAR Cup Series driver A.J. Allmendinger (analyst), and former IMSA GT driver and analyst Calvin Fish. …Fox Sports announces former lightweight champion Ray “Boom Boom” Mancini makes his ringside analyst debut with former super middleweight champion Anthony Dirrell and blow-by-blow announcer Chris Myers calling FS1 PBC Fight Night: Uzcategui vs. Plant on Sunday, Jan. 13 (8:00 PM ET) on FS1, Fox Deportes, and streaming on the Fox Sports app. Adrian Garcia Marquez and Motta call the fights in Spanish on Fox Deportes.